In addition to members of the local fishing association, the lake located in Közép-Bük (Middle Bük) is popular with visitors of the Spa as well. Landscaping, planting of trees, setting up benches and constructing and maintaining rain shelters is done by members of the association creating an environment ideal for fishing enthusiasts to indulge their passion. 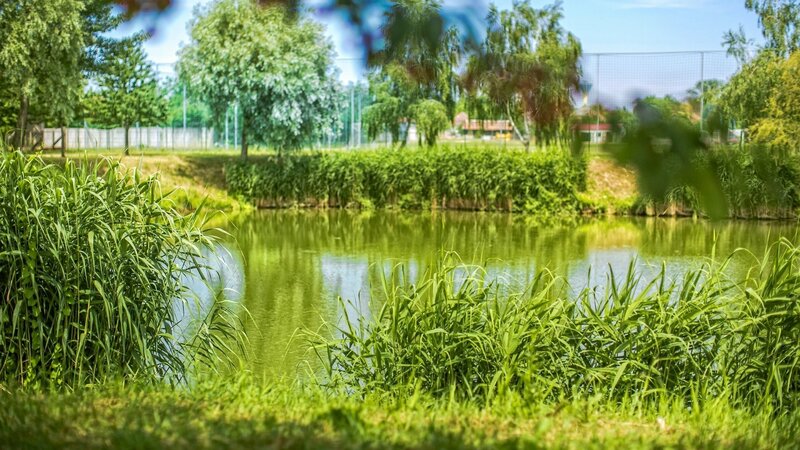 Waters of the Fishing Lake of Bük is 1.2 hectares; typical fish are carp, bream, crucian carp and zander. In addition to the lake, the river Répce just outside the town also provides an excellent venue for fishing enthusiasts. The Association was founded on 7th November 2002 with 63 people, formerly members of the Répcementi Horgász Egyesület Csepreg (Fishing Association of Csepreg on the river Répce). The Association has their own fishing lake within the frame of a 10-year lease granted by the Municipality of Bük. It has been one of the largest non-governmental organisations of the Town of Bük with the intention of providing fishing training and care for children and also to boost fishing tourism along the river Répce, which has been in demand by visitors as well. The Association is happy to witness their membership growing steadily; in addition to local and other Hungarian anglers, there is an increasing number of young people and also people from Austria, Germany and Estonia applying for admission. Visited by many, their events provide guests an opportunity to learn about and, of course, try various fish dishes.